We were so happy to have found Mindy and Joriana with Ever After! For years we wanted a beautiful family portrait that didn’t look staged, and finally got exactly what we were hoping for and more. The service from Ever After was amazing — from the first call, to emailing Mindy questions about our outfit/color choices, to the session itself, and the ordering session. They were extremely helpful, professional, organized, and friendly. The portraits that Mindy and Joriana created for us have truly made our house feel like a home! Sometimes one never knows the true value of a moment until it becomes just a memory. We capture your moments…forever. Only once will you be pregnant with this child. Only once will this child be newly born into this world. Don’t you want beautiful images of that moment to share with future generations and cherish forever? 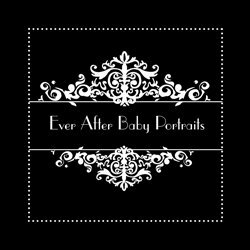 Ever After Baby Portraits is a boutique portrait studio specializing in creating candid, custom, one-of-a-kind heirloom artwork for those who cherish their family. Mindy and Joriana are a mother-daughter team who photograph sessions together. Our typical client wants to make their house a home; they want to fill their home with candid images of the ones they love! That’s why we provide custom Wall Art that tells a story, your unique story that deserves to be told and preserved. We offer high end products because we want them to last and to look just as beautiful many years from now as they do the moment you first see them. After all, it’s what you do with the images that will determine if it will be treasured Art, or a distant memory which may be forgotten, lost like tears in the rain. Throughout our time together with you, we want the experience to be the very best photography experience you have ever had — from start to finish! We specialize in portraiture mixed with vibrant and artistic imagery, allowing us to offer an experience and quality level that is unmatched in our area. At the time of your portrait session, your child will be given individual attention for typically an hour to capture a wide range of expressions. We go out of our way to make sure that everyone is comfortable and relaxed. Typical studio sessions can be overwhelming and intimidating for some, but our sessions let your child and your family be who they are with no pressure. This experience results in images that are candid, relaxed and a session that is individually tailored to each and every client. An ordering session typically takes place in our studio 2 – 3 weeks after your portrait session. One of our specialties is offering custom Wall Art displays in either traditional or more contemporary finishes. Our special design software will enable you to visualize your images in a display so you can know exactly how everything will look before you purchase. This takes the guess work out of having to figure out where to hang your images or what to hang them with. Joriana and I would be thrilled to photograph your Newborn Session separately, or a Newborn Session with an add-on Maternity Session. Maternity sessions may be added during the last six to ten weeks of your pregnancy. We encourage your Newborn portraits to be taken within the first 7 days. The Bebe Coterie Baby Plan includes three sessions: Newborn, 6 to 8 months (sitting), and 12 month (standing/walking), which is typically photographed as a family session. Our Indoor Studio is fully equipped. Our Outdoor Studio has several features including a stream, pond, bridge, vintage truck, barn, and a variety of couches we can pull out that will be styled to work with your decor. New in 2015 is our pier, perfect for family images over the water. The cost of a custom portrait session and heirloom products is often referred to as an investment. This is because the photographs we take and artwork we create become increasingly valuable to the owner over time as each portrait portrays a family’s love, connection and personality. Our services are not for people who want something quick and simple, they are for people who are enthusiastic about quality artwork. An Ever After Portrait Original is made to be handed down for generations and becomes a showpiece in each family’s home. Joriana and I look forward to working with you and your family and being a part of capturing your child’s history! Fill out the contact form or call us for personalized customer service at 571-434-0009. Give an Ever After Gift certificate.